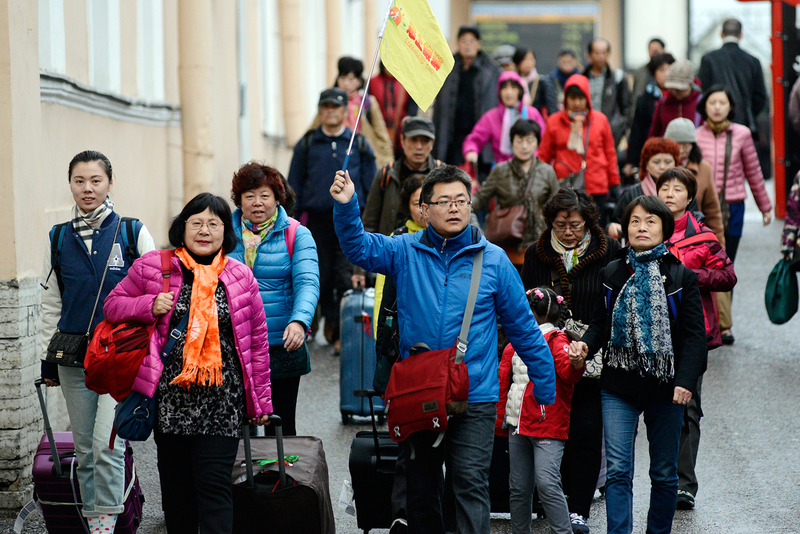 Chinese tourists in St. Petersburg. Russia’s Federal Agency for Tourism (Rostourism) is keen to attract tourists from the Asia-Pacific region, Europe and North America, its head Oleg Safonov said in a TASS interview on Nov. 29. "Of course, the priority regions for us are the Asia-Pacific region, which generates the major flow of foreign tourists around the world, and the European market, including the United Kingdom. The most important market for us is America, mainly the North American region," Safonov said. Experts say that this year has seen a significant growth in the flow of tourists from China. "This is an evident trend. We are very glad and we are making every effort so that Chinese tourists could feel comfortable in Russia," he stressed. Rostourism has already started implementing the Russian Hospitality program, which includes such projects as China Friendly, Halal Friendly and India Friendly, he said. "We are doing this so that more foreign tourists could visit us. We are expecting all of them and consider this to be a very important area." The bulk of foreign tourists who visit Russia book package tours through tour companies. The most popular destinations among foreigners are Moscow, St. Petersburg, the Golden Ring cities and towns along Russian waterways, he said. "The trip along the Baikal-Amur Railroad from Moscow to the Far East is very popular. The Arctic tourism is very popular too. The Baikal region is also very promising, but a serious work is needed to improve the infrastructure," Safonov said. Russia may offer vacation for any taste and budget, he said. Foreign tourists spend some $1,200 on average while traveling in Russia. The average bill of European tourists is $1,600-1,800, he added. Last year, foreign tourists spent some $12 billion in Russia.